Become a publisher! Sign-up and start publishing your own magazines, photo books, catalogs and more. In both print and digital, including iPad. Standard / 8.25" x 10.75"
Exploring Alaska! 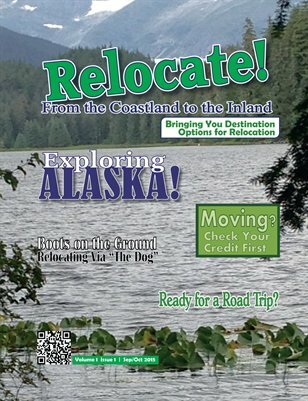 We will be running a series of articles on the different cities in Alaska, with Ketchikan being the First City: Ketchikan, Alaska: Beautiful Land, Beautiful People; MOVING? Will Your Credit Sustain You? ; Get Your Rental Security Deposit Back ; Tips for Safer Travels / Traveling with Food Sensitivities ; Ready for a Road Trip? ; Boots on the Ground: Relocating via “The Dog” ; Save Money at the Pump ; Steer Clear of Distracted Driving: Safety tips for families on the road.